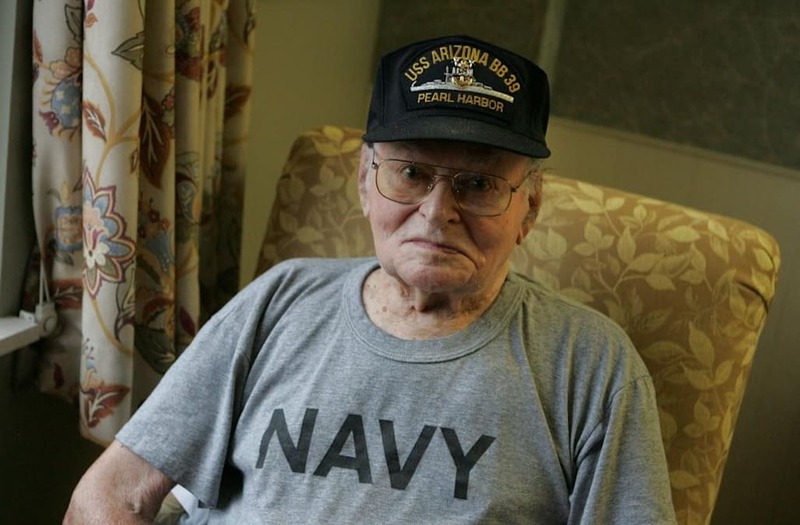 Raymond Haerry was 19 years old when bombs attacked his ship, the USS Arizona, on December 7, 1941. While he never returned to Pearl Harbor while he was alive -- he said the memories were too painful -- he told his family he wanted to be buried there. Haerry passed away last year at age 94. In a ceremony in Hawaii, his remains were interred on the Arizona; he is the 42nd survivor to do so according to the National Park Service. Haerry's family traveled from New Jersey to Hawaii for the ceremony. His granddaughter, Jessica Marino, represented the family at the service. She handed Haerry's urn to divers to place in the ship's sunken hull. "That was the point at which I kind of lost it," Marino told the Associated Press. "It was really sad, but also really sweet to see. It was amazing." "I know this part of his life that really did shape him," Marino told AP. "To be a part of getting him back to his ship and with his shipmates, it's an honor for me."